Three key decisions in launching your small business answering service will likely determine how successful your telephone answering service will be. I will identify these decisions and share how one entrepreneur from Wichita, Kansas determined her road to travel to have the best answering service possible. Carol, a stay-at-home Mom, searched for a home based opportunity for 4-months prior to deciding to start a small business answering service. She was kind enough to share her decision-making process with me. I share her thoughts with you. Carol, how did you decide on the phone answering business? My younger Sister’s husband finally finished his medical fellowship and opened his practice in Eastern Kansas, about 120 miles away. He needed help with patients calling to schedule an appointment, refill prescriptions requests and requests to have the doctor return their call. I called the telephone company and they set up a direct line to his office. When he is busy, which is often, thank goodness, he flips a switch and all the calls come to me. My answering machine records all the calls from 6 PM to 8 AM every day and all day Sunday. Your Sister’s husbands call service probably didn’t make you rich. What other decisions did you make in expanding your small business answering service? 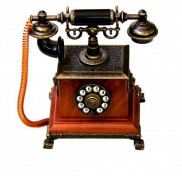 Offering the right business answering services are directly tied to the telephone equipment I need, which is expensive. I speak French, Spanish and a little bit of Portuguese. 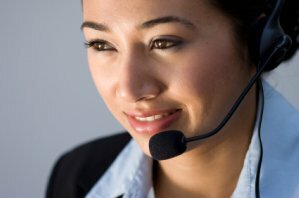 I thought a bilingual answering service would be a marketing tool I could use to grow the business. I went to ethnic-centered shops, physician offices, law offices and three manufacturing plants to test the need for my service. WAM, I was hit with multiple requests including having a 24-hour answering service and an Internet phone answering service, which I had no clue what that was. I didn’t want to get in over my head with technical equipment stuff I knew nothing about. But, I still wanted to capture these clients and maintain my sanity. My phone company was so helpful. They consulted with me (for free) to suggest the right, labor saving equipment to match my needs. I ended up leasing this equipment. Deciding what call center answering services was a very tough decision. So, Carol how did you decide on your answering service prices? What are they? Well, right off the bat, I called my competitors to find what services they offered and the related pricing schedule. Pricing my services tormented me. I had to make money, enough to pay me and also have a profit. I ended up with prices slightly higher than my competition because I offered bilingual services, an added value, and they didn’t. I was truly scared. I closed my eyes and went with this fee schedule. I gave my clients two answering service rate choices. 25 monthly handled calls are $39.99 plus .99 for each call answered. If my client wants 24-hour answering service I add a monthly flat rate of $70 to the above fee schedule. My clients are satisfied with this pricing schedule. Carol, how did you decide on the best way to market you new service? It was not easy. For 5-weeks I walked the pavement calling on prospective accounts. I had to sign up clients in advance of starting because I needed a core level of income under contract prior to making equipment selection. I also needed to be able to pay for it! In the beginning, the only marketing know-how I had was printing business cards and making a distributing a four-color pass out piece of 8” by 10” Zerox paper folded in half. Soon I purchased Dan Kennedy’s ebook Magnetic Marketing. While relativity expensive at $127 it is simply loaded with often-crazy low cost ways to have your buyers market aware of your business and services. I used his ideas a lot. The ebook was really helpful. I know I got my start because of my Sister's husbands situation. However, I had done a lot of thinking about an answering service business before that. Deciding to help him was just the initial catalyst for starting. 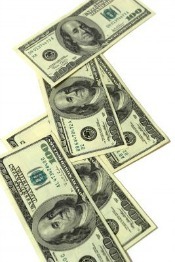 The phone answering service business is a highly profitable one. I started using a bedroom space with myself and a part time helper. Soon, I recognized I needed more space for other people I would hire. My husband insulated and brought utilities to our double car garage where my small business answering service is currently located. Since I started, I have been surprised by the need for my services. I thought I was going to have to take business away from my competitors, but that has not been the case. Starting my home-based small business answering service is one of the best things I have ever done. And, thank you for visiting Starting Your Home-Based Small Business Answering Service.